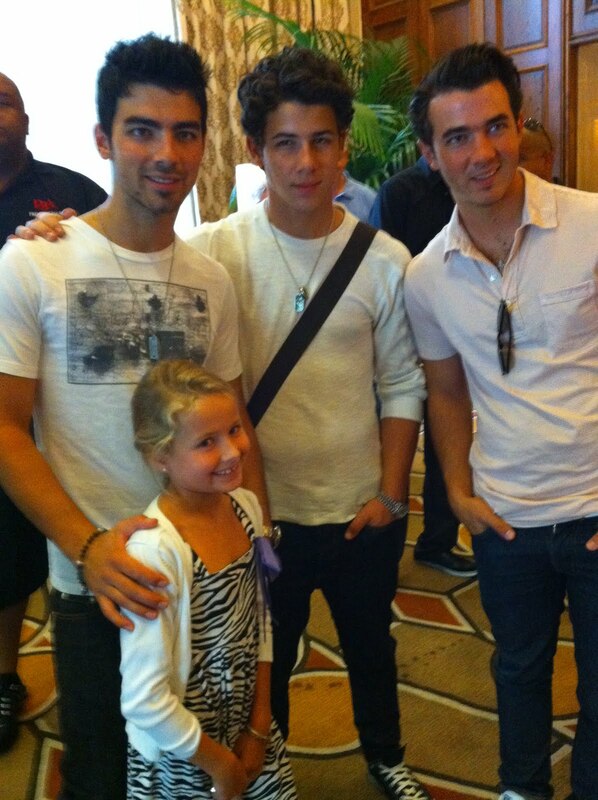 Yes, this really is Ryan with Joe, Nick & Kevin hanging at our hotel in Chi-town! They were in town for a concert and we just happened to run into them in the lobby! We had to wait around for 1 1/2 and it really cut into our shopping time but it was worth every minute! I would say that there were around 30 people waiting for them and a TON of crazies outside of the hotel but we pretty much had them all to ourselves. They were so nice to take pictures with us and to sign their autograph for Ry Bray. That was definitely the icing on the cake for our American Girl trip.